Quick quiz: Who was the first Japanese civilian to be issued a passport? If your mind is drifting in the direction of a businessman who might have availed himself of an early opportunity to travel abroad in the mid-1860s, when the government first permitted such things, think again. It was a circus performer named Sumidagawa Namigoro, whose speciality was to keep paper butterflies afloat in midair using only a fan. He is known to have delighted audiences the world over. Sumidagawa is one of the many real-life characters who spring to life from the pages of a new book, “Professor Risley and the Imperial Japanese Troupe,” which describes the exploits of one of Japan’s first groups of touring performers and of the man who led them, an American by the name of Richard Risley Carlisle. The book is the work of Frederik Schodt, an American whose name will be familiar to many readers — but likely not for his work on circuses. That’s because Schodt is considered one of the foremost authorities on a more modern form of Japanese popular culture: manga and anime. 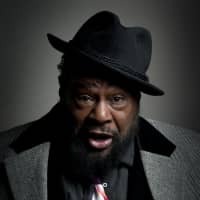 And, perhaps more than any other Westerner, he can claim credit for the extraordinary boom in those two artistic forms that spread through the world just after the turn of the millennium. Indeed, having come to Japan for the first time way back in 1965, when he was still a high school student, Schodt became an expert in the genre even before most Westerners knew it existed. 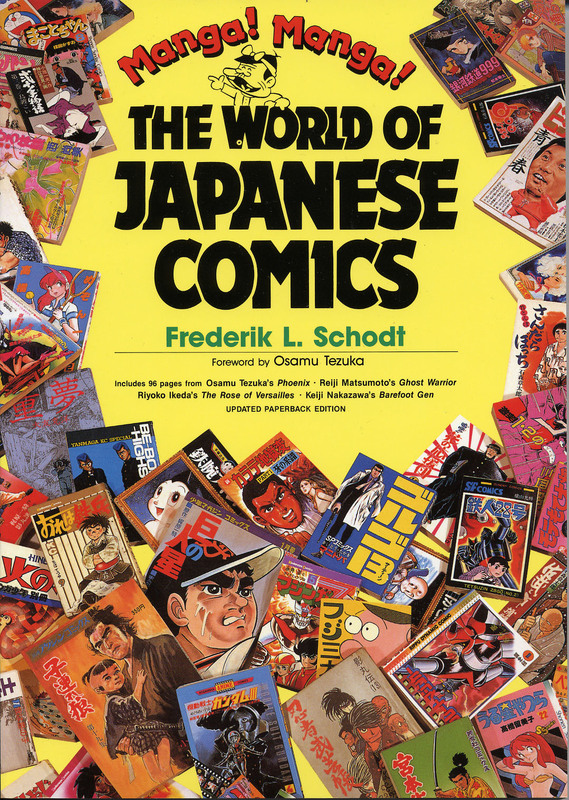 In 1983, Schodt distilled his many years of experience reading and translating manga into the first English-language introduction to the genre, a book titled “Manga! Manga! The World of Japanese Comics” that is now a cult classic. The book was also cited along with his translations when in 2009 the Japanese government bestowed on him the Order of the Rising Sun, Gold Rays with Rosette. Schodt was fortunate to catch two industries on the upswing. 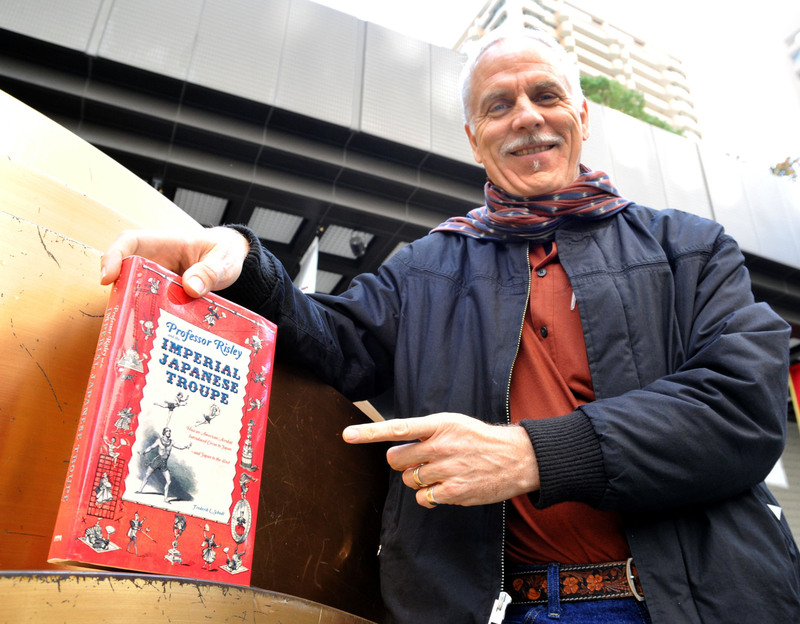 His books came out in time to ride a long wave of optimism surrounding Japan, its economy and its culture. But, as Schodt is the first to admit, things aren’t so rosy nowadays. 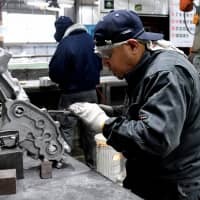 Still, as the 62-year-old explained to The Japan Times during a recent trip to this country, he maintains his faith in the abilities of the country’s rising generations to right the country’s course. What attracted you to Professor Risley and his circus? 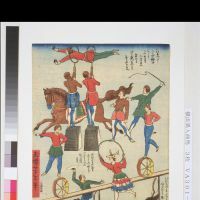 I’ve always been interested in what you might call “lost histories” — people who fell through the cracks, eccentric characters who in some unusual way contributed to early communication between America and Japan. That is the territory I mine. So what was the nature of Risley’s contribution? Well, first of all he introduced the Western circus into Japan. 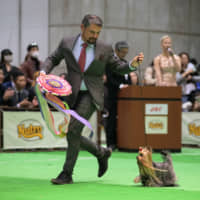 Most Japanese people these days, when they think of “circus,” they think of the Western-style circus, which involves somebody with a top hat, maybe an arena, a trapeze and that sort of thing. It was Risley who introduced that type of circus into Japan, when he set up base here at Yokohama in 1864. But Risley also did the opposite: He introduced traditional Japanese acts — the original Japanese idea of a “circus” — overseas. And this is the part that is the “lost” history, because it’s been largely forgotten. The Imperial Japanese Troupe, which Risley took from Japan around the world in the late 1860s, was one of the earliest exposures that Americans and Europeans had to not just Japanese popular culture, but to ordinary Japanese people. It coincided with the Japonism art movement, but it was separate from that. It wasn’t highbrow. Everyone liked it. What do you think the American public took away from those performances? I think first, on the level of skill, they were completely awed by the creativity of the Japanese acts, especially top-spinning. Top-spinning was very evolved in Japan in the Edo Period (1603-1867). Some of the acts involved running tops down samurai swords, over your shoulder, over long distances. Some of them were huge tops that were very heavy. Another act that I think was amazing to American audiences was the butterfly trick, which involved making origami-paper butterflies flitter and float in the air by manipulating a fan beneath them. They seemed to be so real at the time. Then there were the acrobatic feats. There were perch acts, involving pirouetting and doing gyrations on top of a long bamboo pole. And then they had these ladder contraptions — cantilevered ladders that one person would be lying on the ground supporting in mid-air with his feet while some younger acrobat, a child, would crawl up to the top and run around on it. But, on another level, I think people in the West were also intrigued by the exoticism, the costumes, the music. 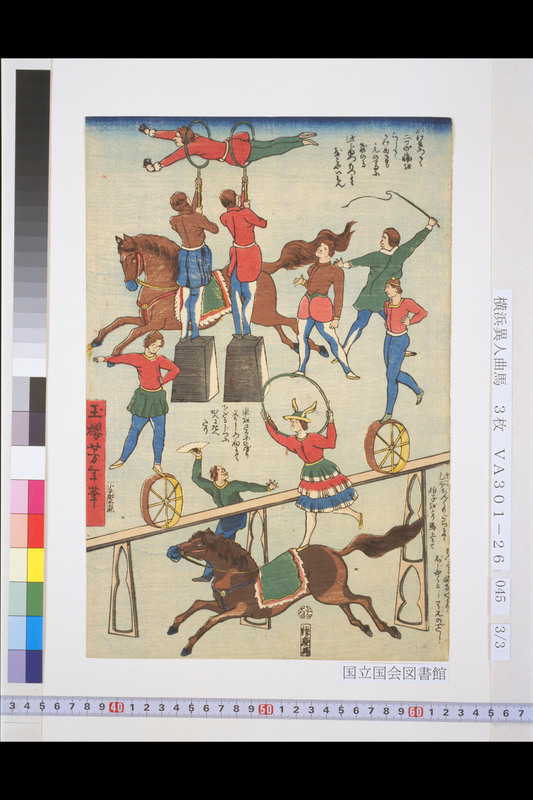 Were the Japanese acrobats allowed to leave their country in the 1860s? They were, but, actually, one of the interesting things is that the members of the Imperial Japanese Troupe received the first civilian visas to travel overseas. The butterfly expert, a man named Sumidagawa Namigoro, received the first civilian passport in Japan. Does that mean the government was giving its blessing to those circus tours? I think so. In 1866, there were actually multiple troupes that left Japan, all headed for the Paris Exposition of the following year. In the first year or half-year that the Japanese authorities started granting permits to civilians to travel outside of the country, something like 60 to 70 percent of them were issued to acrobats. This was a form of cultural export. 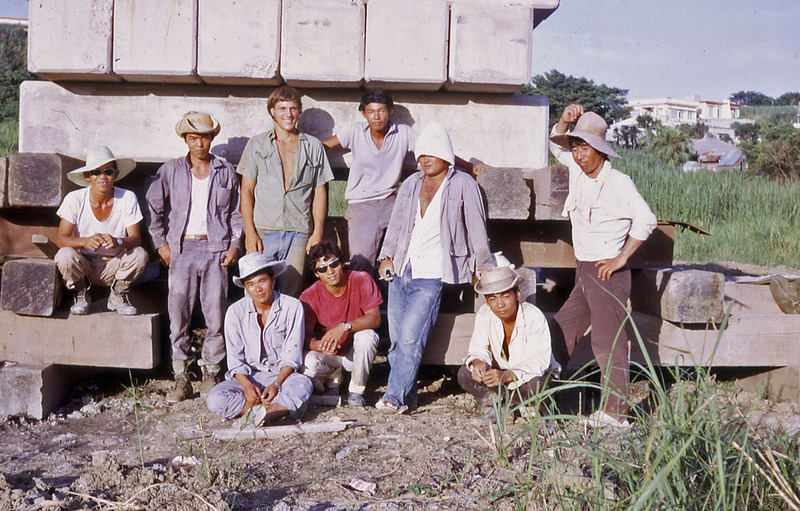 The “Cool Japan” program has a longer history than we thought! Well, in a way, “Cool Japan” was happening back then. You’ve probably done more than almost anyone to help promote the idea of Japanese culture being cool, but what was your first encounter with Japan? When I was 15, we were living in Canberra, Australia, and my father, who was in the U.S. State Department, came home one day and announced we were going to Tokyo. That was how it happened. What were your first memories of Japan? I remember arriving in Yokohama and thinking it was all very gray. We traveled to the Sanno Hotel here in Tokyo and I just remember how gray it was. In Australia, I had a dog, a horse and a rifle, so it was quite a change. And you spent about three years here. Yes, I went to the American School in Japan. Then I went to the University of California Santa Barbara for a while before returning to Japan, when I went to the International Christian University in Mitaka, Tokyo, for a couple of years. After graduating, I worked in California for a while as a tour guide for Japanese tourists and then I went back to Japan again to study for a second time at ICU. I did interpreting and translation. Why did you decide to come back to Japan after studying at the University of California? Had you decided already that you’d make a career here? Well, before that, during the last year I’d spent in Japan, I was in a dormitory at the American School because my parents had left the country. 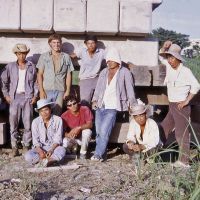 The other dormitory kids were all missionary kids, and they were all fluent in Japanese as they had been raised in the country and they had gone through the Japanese school system. I was very influenced by them and I realized that knowing the language would really open up a new world. When did you develop an interest in manga? I didn’t really encounter manga until I was living in a dormitory at ICU and so many of my dormmates were reading manga. That would have been around 1970. What did you like about manga? I think there were two things. I’ve always liked comic books as a form of entertainment. And Japanese comic books have always been very creative; they were very different from American comic books at the time. A lot of Japanese manga artists were trying to make the comic format a place they could develop ideas just as novelists did. In many ways, the manga they produced were more fascinating than they are now. Did you have any favorites? I started reading works by Osamu Tezuka, Leiji Matsmoto and Fujio Akatsuka. I loved Akatsuka’s gag comic strips, like “Tensai Bakabon (Genius Bakabon).” I was just a huge fan. How did you get into working with Tezuka and translating his work? When I was at ICU the second time, I read a lot of manga. 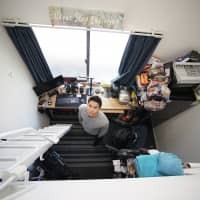 Some friends from ICU and I wanted to somehow make people outside of Japan more aware of this phenomenon, so we — an American, Jared Cook, and two Japanese, Shinji Sakamoto and Midori Ueda — formed a little group. We thought we should translate something, and, being very young and naive, we thought we should start at the top. Sakamoto somehow got a contact with Tezuka Productions and we just visited them directly. We asked if we could translate “The Phoenix” (a series published between 1967 and 1988) and Tezuka said yes. So we translated five volumes of what is actually a much longer series, consisting of 15 or so volumes. Did Tezuka pay you for them? Yes, they paid us something. 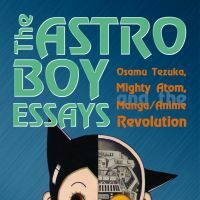 Tezuka was the only manga artist at the time who had had any international exposure, mainly because of his animation “Astro Boy,” which had been shown abroad. So that’s how we got started. And because of that I got to know Tezuka quite well. I served as his interpreter when he came to the United States. It was a very memorable experience. He was one of the most extraordinary people I’ve ever met in my life. I think he was a genius. As an interpreter, I’ve met a lot of famous people, but I can say I think Tezuka really stands out. He had a near-photographic memory. He was extremely well read — Russian literature, German literature, American, British. He knew comics. He remembered everything. And he would use everything he experienced in his life in his manga. He was like a factory, just constantly thinking of stories. And not just one; he’d be working on four, five stories at a time, developing them in his brain, because he was doing four or five serial stories a week in magazines. I’ve never seen anybody like him. How was he received in the U.S.? 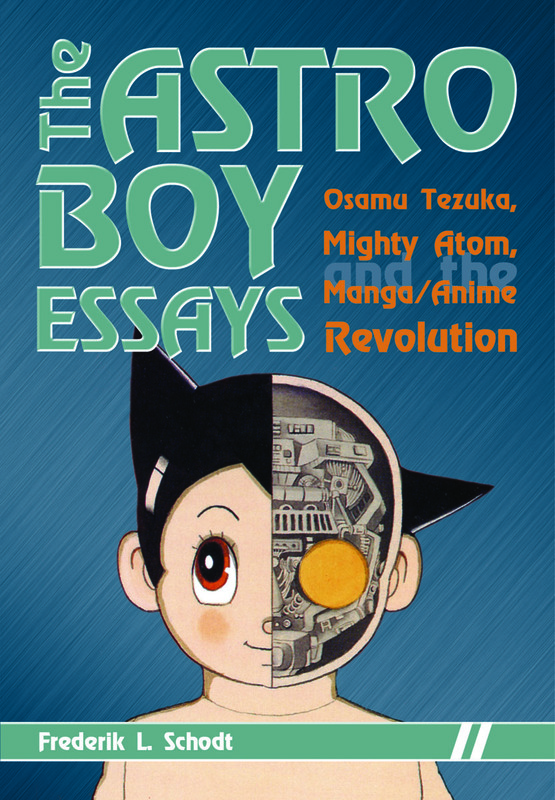 Probably the average American who had seen “Astro Boy” was not even aware that it was made in Japan. 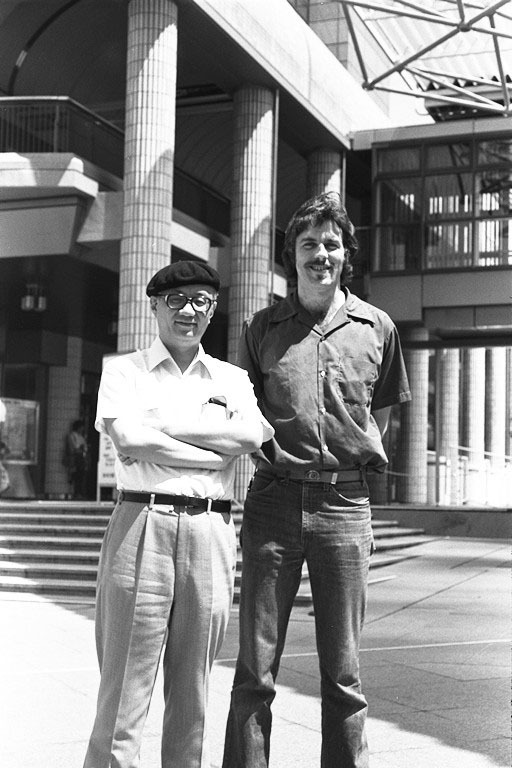 But Tezuka was great at interacting with all types of people — be they intellectuals or children. And even though he didn’t know English very well, he could always draw pictures draw somebody’s portrait, draw one of his characters. Drawing was a kind of esperanto for him. What prompted you to put all that experience into a book, and write “Manga! Manga!”? I wrote “Manga! Manga!” specifically because, after the initial efforts of translating manga, I came to the conclusion the international market wasn’t ready. We would never get anything published. People (in the early ’80s) had no idea what Japanese manga was! We’re talking about an age when people were still aghast at the idea of sushi! It was a very different time. So I thought it would be a good idea to write a book that introduced manga and tried to show how vast that universe was. I wanted to break though some of the stereotypes that people had of manga and of comic books in general. The market wasn’t ready for manga translations, but it wasn’t really ready for a book on manga either, was it? Many people have said that your books, including 1983’s “Manga! Manga!,” were way ahead of their time. You could say that. I don’t seem to have very commercial DNA. My books generally don’t sell that well. But, what I take a lot of pleasure in today is that I meet people who say that “Manga! Manga!” had a big influence on them. I meet fans and scholars of manga in Iowa or Australia or Europe, and they say that reading my books made them want to learn more about manga or robots or whatever. I get a real thrill out of that. Did you expect when you were writing “Manga! Manga!” that manga would become as big as it has? No, I did not. That’s been a really interesting thing for me to see. In France and North America and Australia, manga is huge. In the United States now, all the major cities have manga and anime conventions, some of which draw 30,000 or 40,000 people. I never imagined it would reach this scale. But the other thing I never envisaged was that the manga and anime business would develop to such a high level and then implode — because of the Internet, piracy and so on. 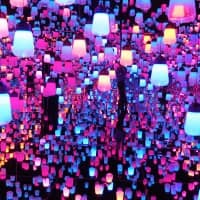 Even so, the number of fans doesn’t seem to be decreasing, so you have this disconnect now between the business and the fan base. Why do you think manga and anime became so popular overseas? I think that for Americans and Europeans, when they started reading Japanese comics and watching Japanese animation, they realized that their preconceptions of those things were largely wrong. Comic books did not have to be about superheroes. Animation wasn’t just for children. People realized that comics and animation could be just as sophisticated as a live-action film or a novel. That is the real contribution that Japanese manga and anime have made. The decline of anime as an export business is widely seen as a lost opportunity. There have been others, too, such as in the field of robotics. 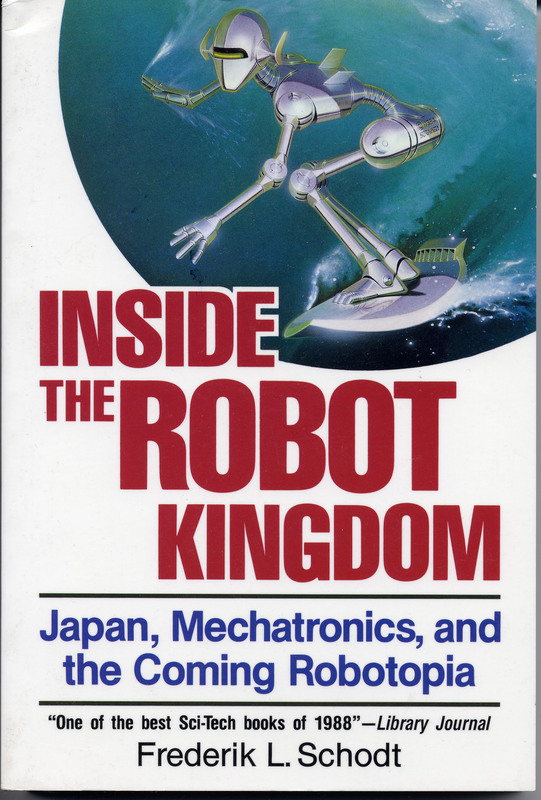 You championed Japan’s robot technology in your 1988 book “Inside the Robot Kingdom,” so why do you think the country was ill-equipped in terms of robots when the Fukushima nuclear power plant crisis began in March 2011? Frankly speaking, I was very disappointed. When I wrote that book, I interviewed people throughout Japan and there was a large-scale national project at that point to develop robots that were autonomous or could function in extreme environments — undersea, near fires — and one of them was specifically for nuclear power plants. There was a lot of research being done in Japan. I think the scientists who I interviewed at the time must have been absolutely devastated by what happened. Somewhere along the line, the funding stopped, the ball was dropped. I’m sure the failure had something to do with the fact that it’s very hard to commercially justify the development of robots, especially robots with such functionality, because, how many of them are you going to sell? There’s not a huge market out there. Japan doesn’t have a lot of funding from the military sector to develop robots, and that is what is driving a lot of the U.S. research these days. But there has nevertheless been a lot of development of robots — Honda’s ASIMO and so on. Was it a case of directing limited resources into the wrong areas? I think there was an element of that. The robots that are developed in Japan are being developed in anticipation of a market that doesn’t exist yet: personal robots. I believe that will eventually be a huge market, and it is emerging, slowly. 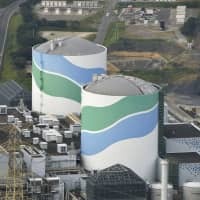 It is one area where I’m hoping Japan is really going to be able to shine. Honda’s ASIMO is genuinely amazing — amazing. Japan is the only place in the world that’s seriously developing humanoid robots. It’s unique. So Japan is positioned well if they can pull this off. But obviously, that is where a lot of the funding went and they paid the price after March 11, 2011. You used the term “drop the ball.” A lot of people think Japan has dropped the ball on a lot of issues. Over the course of your career, you must have been in a position to observe as Japan grew phenomenally, but then … what went wrong? Yes, I work as a conference interpreter in the technology field and, believe me, I would like very much for Japan to step up to the plate and do better, especially the young people. I have a lot of hopes for the young people. I think the system has really let them down. But I think Japan is facing some troubles that are genuinely difficult to overcome, and I understand that no one has easy answers. They’re not problems that are exclusive to Japan. Are you thinking of the declining population? And the aging population, especially. That same thing will happen in South Korea and China, too. They could learn a lot from Japan. People talk about the Fukushima disaster, but I think a far more serious problem in Japan is the aging population. People have no experience of that. When I meet young people — young engineers and whatnot — I … I just really hope they will step up to the plate. Are you confident they will? I think they will. I hope they are more interested in things overseas. They should go to America more. They should visit Australia and Europe more. They should stop playing video games, breathe the outside air, you know. You’ve also written a lot about Japan’s relationship with the U.S., and you’ve spoken about it being a foe, a friend, a model, a mirror. What is Japan to the U.S. now? The bad news is that right now, Japan is not really on a lot of people’s radar screens. It is for a lot of anime and manga fans, but I have to say that the Japanese presence, in the U.S., where I live, just doesn’t cast as much of a shadow as it used to. China has really taken up a lot of people’s bandwidth. I do think the younger generation in Japan really do need to step up to the plate. … But, still, I believe Americans have a very positive attitude to Japan. What do you think will be the legacy of this whole anime/manga boom? Will it just translate into goodwill. Well, I think it will continue. It’s extraordinary. In my country, you don’t see 40,000 people turning up to conventions on French films or whatever. Americans generally don’t like watching films with subtitles. But you have this huge group of Americans who are in love with Japanese anime and so on. I think manga and anime have contributed to a lot of goodwill between the countries. And it’s not something the government was involved with; it was really a grassroots thing. I think Americans right now, their impression of Japan is very good. But as somebody who has been involved in Japan and wants to continue earning his living as a conference interpreter, I really do wish they would crank up the volume a little bit! I hate to use a hackneyed phrase, but it’s really a case of Ganbare Nippon! (Go Japan!). But you think the answer lies with the country’s rising generations? They have a lot of obstacles, the social hierarchy and so on. And there’s a lot of ossification in society that has been taking place, and there are some big changes needed in Japan. I’m not advocating revolution or anything, but, you know …draw somebody’s portrait, draw one of his characters. Drawing was a kind of esperanto for him. I wrote “Manga! Manga!” specifically because, after the initial efforts of translating manga, I came to the conclusion that the international market wasn’t ready. We would never get anything published. People (in the early ’80s) had no idea what Japanese manga was! The market wasn’t ready for manga translations, but it wasn’t really ready for a book on manga either, was it? Many people hae said that your books, including “Manga! Manga!,” which came out in 1983, were way ahead of their time. No, I did not. That has been a really interesting thing for me to see. In France and North America and Australia, manga is huge. In the U.S. now, all the major cities have manga and anime conventions, some of which draw 30,000 or 40,000 people. I never imagined it would reach this scale. The decline of anime as a business is seen as a lost opportunity by many commentators. Japan has probably missed a lot of other opportunities, too — one being in robotics. 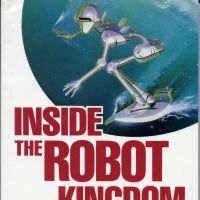 You championed Japan’s robot technology in your 1988 book “Inside the Robot Kingdom,” so why do you think the country was so ill-equipped in terms of robots when the Fukushima nuclear power plant crisis started in March 2011? I think there was an element of that. The robots that are developed in Japan are being developed in anticipation of a market that doesn’t exist yet: personal robots. I believe that will eventually be a huge market, and it is emerging, slowly. It is one area where Japan, I’m hoping, is really going to be able to shine. Honda’s Asimo is genuinely amazing — amazing. Japan is really the only place in the world that is seriously developing humanoid robots. It’s entirely unique. So Japan is positioned well if they can pull this off. But obviously, that is where a lot of the funding went and they paid the price after March 11, 2011. I think they will. I hope they are more interested in things overseas. They should come to America more. They should visit Australia and Europe more. They should stop playing video games, breathe the outside air, you know. You’ve also written a lot about Japan’s relationship with the United States, and you’ve spoken about it being a foe, a friend, a model, a mirror. What is Japan to the U.S. now? I think manga and anime have contributed to a lot of goodwill between the countries. And it’s not something that the government was involved with; it was really a grassroots thing. I think Americans right now, their impression of Japan is very good. But as somebody who has been involved in Japan and somebody who wants to continue earning their living as a conference interpreter, I really do wish they would crank up the volume a little bit! I hate to use a hackneyed phrase, but it’s really a case of Ganbare Nippon! (Go Japan! ).